Oil rich nations in the Middle East are talking tough when it comes to plunging oil. They claim they can hold out even if crude oil falls as low as $40. But investors in their stock markets aren't nearly as confident. The main stock indexes of Qatar, Dubai, and Saudi Arabia are taking a beating as investors fear that low oil prices are here to stay and they will spill over into other parts of the Gulf economies. 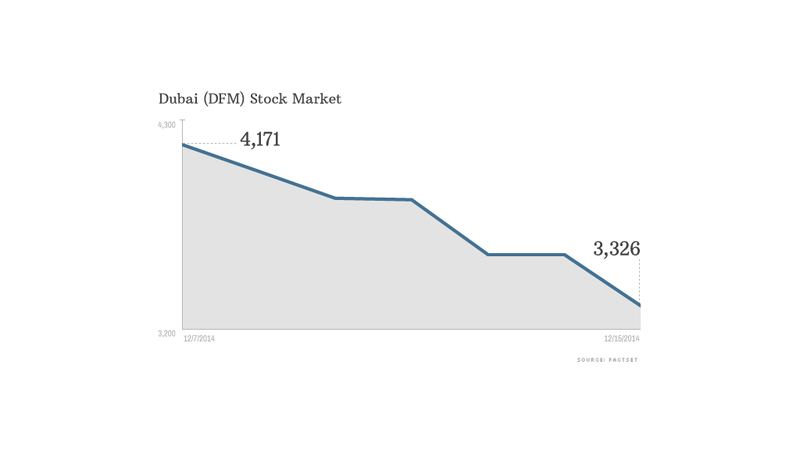 The Dubai Financial Market Index has tanked 22% already in December to levels not seen in a year. It's a big change from July when these markets were among the hottest performers in the world, despite the issues in the region from the likes of ISIS. That was when oil was trading close to $100 a barrel. The thinking is simple: in the Gulf economies, it's all about oil. As oil revenue sputters, investors are worried that government spending will slow and take other industries with it. "The allocation to energy stocks is significantly higher than it is in most developing markets," notes Russ Koesterich, chief investment strategist for BlackRock. "In the U.S., there are other sectors that are net beneficiaries from lower oil prices." 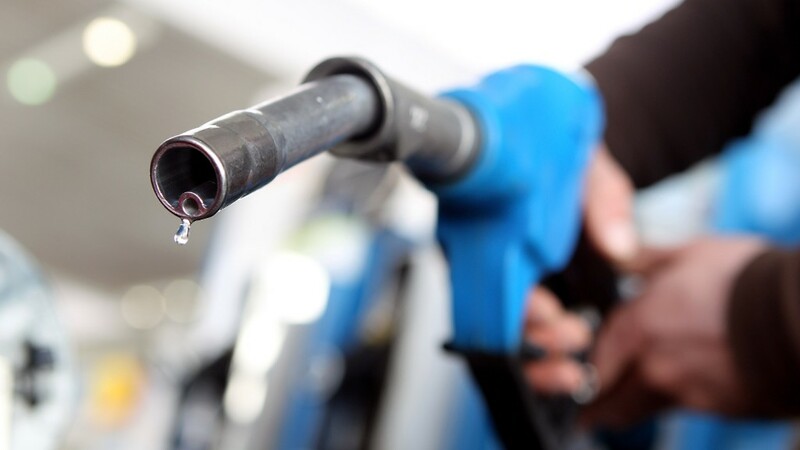 There's likewise anxiety that as energy projects get put on hold, wages for oil workers in the Middle East will suffer and the consumer sector will take a hit, asserted Win Thin, a currencies analyst at Brown Brothers Harriman. In these states, "there's really little non-oil to speak of," he said. "That's what they have in the ground and all they export." He noted, however, that these states have built up massive war chests of dollars, so no one thinks they're going to default. Oil dipped below $56 Monday to its lowest point since 2009, when the global economy was gripped in recession. While many OPEC members are suffering from depressed oil prices, Saudi Arabia and other Gulf nations can withstand them longer. There's speculation that Saudi Arabia is trying to drive U.S. shale oil out of business. The roller coaster ride is another reminder of the wild swings that can take place in emerging markets. Earlier this year, Qatar and Dubai were upgraded from "frontier markets" to "emerging markets" status, which means more foreign investors are likely to have some exposure to these nations. Saudi Arabia's stock market, meanwhile, is currently only open to Saudi citizens. It will open up to foreigners in the early half of 2015.